Hello! Thanks for visiting this page. Members of Judge Business School, University of Cambridge are doing various fun things with their facial hair whether it be shaving it all off for the first time in several years, growing new beards and not trimming or grooming moustaches. Either way they know they will look ridiculous- but that's the point! 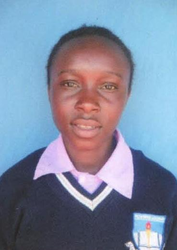 We are hoping to raise enough money for one scholarship- that is sending Shalyne to school for 4 years to allow her to achieve her potential. Thank you very much for your donation- we are very grateful!